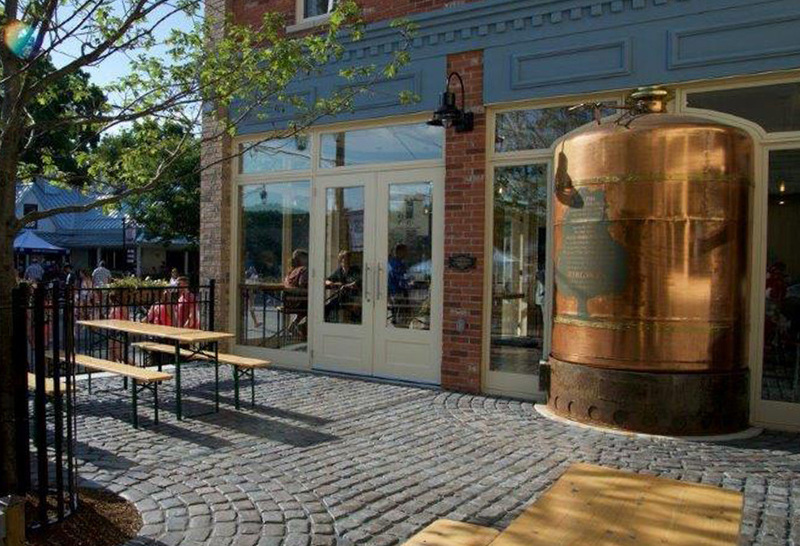 Located in Creemore, Ontario, Creemore Springs Brewery is known for its beer made with locally sourced spring water. 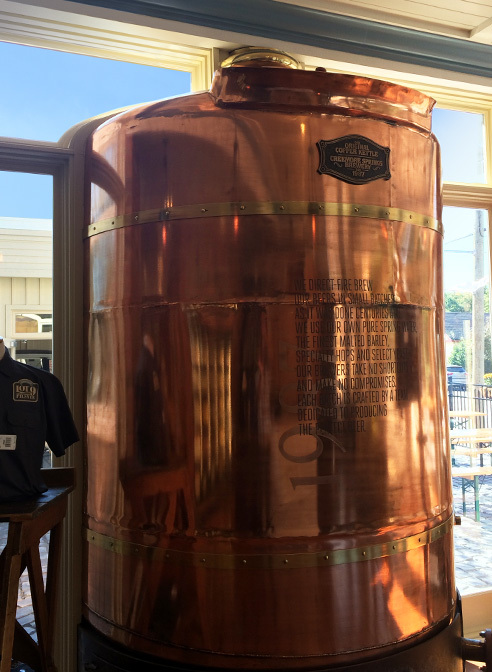 Heather & Little was pleased to assist with the restoration and re-purposing of their original copper kettle that would become a decorative fixture in their new retail store. Creemore Springs’ original brew kettle was shipped to the Heather & Little team in poor condition as it had been stored outside for several years, developing a heavy patina due to oxidization. Our team polished the kettle to restore it back to its beautiful and bright copper appearance. Heather & Little worked with Creemore Springs and Jump Branding and Design Inc. to create a plan to restore and modify the kettle so it could be used for display in their new retail outlet. The kettle was cut in half vertically so one half could be displayed on the exterior of the building, while the other half was visible from the interior. 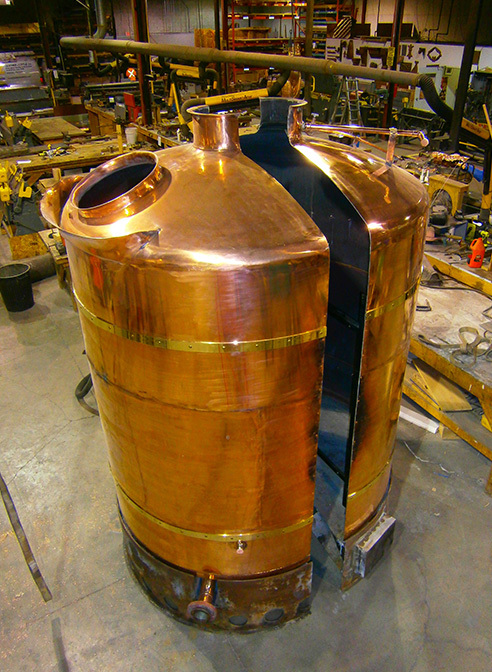 Decorative copper elements were added to the kettle to increase its visual appeal. Our professionals also installed a custom-designed video monitor mount to attach a video display to the kettle. 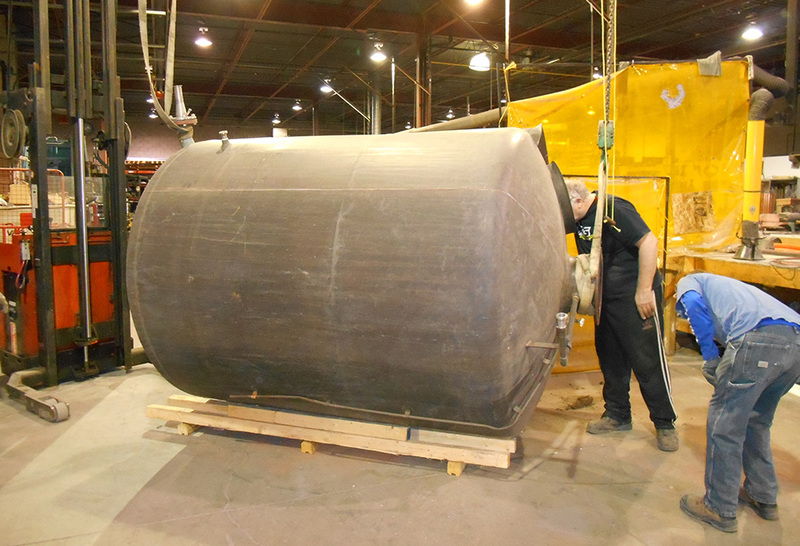 Once all work was complete, we protected the kettle from future oxidization by applying a clear lacquer coat so its copper surface remains beautiful for years to come. To mimic the copper of the original brew kettle, Heather & Little was also commissioned to provide custom copper sheet metal cladding on two countertops in the retail space that would act as a sample bar and cashier counter. For more information about this sheet metal fabrication project, reach out to a member of the Heather & Little team. To learn more about this project, browse the photos below!